Mill purpose and scope: Power Saving Ball Mill is the material to be broken, and then to smash the key equipment. It is widely used in cement, silicate products, new building materials, refractory materials, fertilizer, black and non-ferrous metals and glass ceramics and other production industries of all kinds of ores and other grind-able materials can be dry or wet grinding. Mill Working Principle: The Power Saving Ball Mill is a horizontal cylindrical rotating device, outer gear, the two positions, lattice-type ball mill. Material from the feed device into the compound evenly into the air shaft spiral mill first warehouse, the warehouse there are ladder liner or corrugated liner, built with different specifications steel ball, rotating cylinder produces centrifugal force to the ball a certain height After the fall, have severe impact on the material and abrasive. Coarse material in the first position, after single-compartment plate into the second warehouse, warehouse lined with flat lining, steel ball, the material to further grinding. Powder through the discharge grate plate to complete the grinding operation. Power Saving Ball Mill is grinding equipment in a can grind the ore to the required fineness, especially millimeter-level rock, coal and any other hard material most commonly used. Grinding is crushing process continues, as in the processing operations, the main task is to finely ground ore into useful components to achieve complete separation or basic monomer separation. 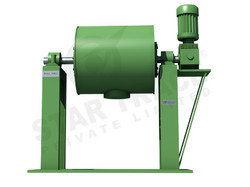 More types of grinding machines, but the metal mines generally use a ball mill and rod mill. The Work Index Ball Mill is used to find Grinding work index, referring to the grindability index of Ores, it indicate the grinding difficulty of the material. It is measured according to the principle that to calculate the grinding work index based on output of each revolution of the mill after the material is ground to a balanced state by the specified mill. 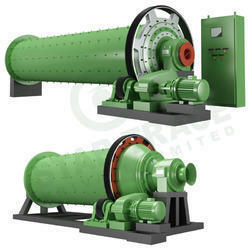 This ball mill, also called mill for measuring bond work index, is a key device for measuring grinding work index. It is widely used by teaching and researching departments for grindability test. Mill Linings Ball and Pebble Mills may be lined with rubber, ceramic and wear resistant metallic liners. Grinding Media Mills may be charged with ceramic, steel and alloy steel grinding media. These are spherical or cylindrical in shape and range from 6 mm to 100 mm in size. Weight of Grinding media 20.124 Kgs. Planetary Ball Mill has four/two/single ball grinding jars installed on one turn plate (SUN DISC). 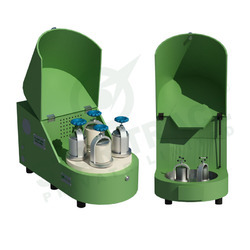 When the turn plate rotates, the grinding jar axis makes planetary movements and the balls in the grinding jars grinds and mixes samples in high speed movement. The product can ground and blend various products of different materials and granularity with dry or wet methods. Minimum granularity of grinded products can be as small as 0.1 micron (i.e. 1.0×10-4mm). Up to 3mm for other materials. 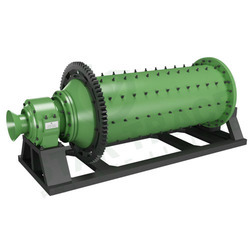 We are engaged in Ball Mills manufacture and supply in a wide assortment of variations that are used for grinding the crushed materials. These are commonly used for producing powder from fertilizers, cement, silicates, glass ceramics and many more. These are available as grate type as well as overfall type based on ways of discharge. 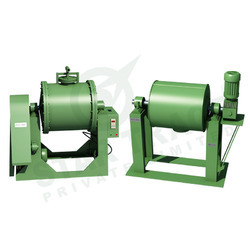 These are highly efficient grinding equipments that can offer wet or dry grinding of the materials. It is manufactured by using the highest grade of raw materials and offered at leading industry prices. Looking for Ball Mills ?